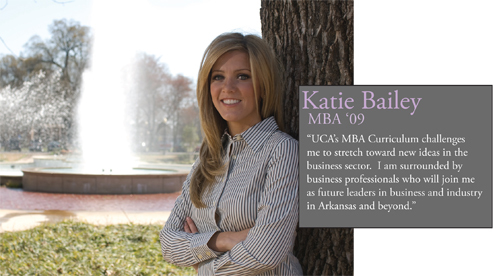 The focus of the UCA MBA Program is in helping you succeed. We believe that your education is more than attending class and completing assignments. It is the relationships you build with other classmates and faculty. It is appreciating the intricacies of making difficult decisions. It involves meeting personal challenges in and out of the classroom. Ultimately, it is learning more about yourself and your potential. We invite you to explore our website and learn more about the UCA MBA Program.